My work as a photographer often leads me to some of the world’s most beautiful places, both natural and manmade. While the natural world is frequently breathtaking in its beauty, I find myself no less awestruck by the work of human hands and our small attempts to leave something of ourselves behind. July 2017, single image, additional exposures for highlights, focal length 92mm, aperture f/8, shutter speed 161 seconds, ISO 64, tripod. When I’m fortunate enough to photograph some of the world’s most beautiful buildings, I often allow my mind to wander and I frequently find myself thinking that structures are far more than brick and mortar. They’re reflections of the human spirit, the spirit of a designer who possesses a vision and, in the case of national buildings, the spirit of a people. They’re a reflection of the way a nation sees itself. 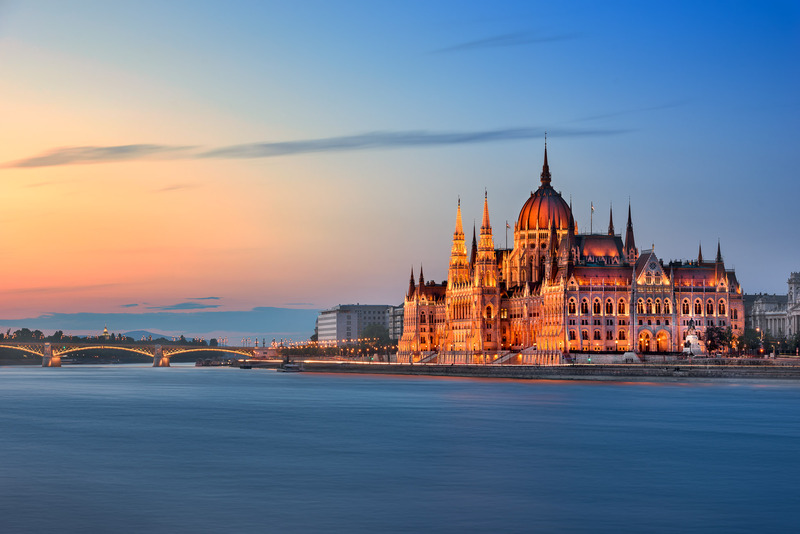 Budapest is easily one of the most striking cities in Europe, a jewel perched along the banks of the Danube. On my first night in the city, I took a walk along this storied river, and was instantly charmed by Budapest and its architecture. In the blue light of an early evening, with the lights of the city reflected in the Danube, Budapest is especially beautiful. But what I was most drawn to was its Parliament building. It’s a striking, neo-Gothic structure and the tallest building in the city. Overlooking the south bank of the river, it’s impossible to miss. As majestic as the building’s exterior is, its interior is equally impressive. The building was inaugurated in 1896, to honor the nation’s sovereignty on the thousandth anniversary of its founding. It’s a structure worthy of a thousandth anniversary. Designed by the great Hungarian architect Imre Steindl, the construction involved almost 100,000 people. In the seventeen years it took to complete the building, nearly half a million gemstones were used. Think about it: almost half a million gemstones. The Parliament was the crowning achievement of Steindl’s career, but the master architect went blind before the grand building was completed. As I prepared for the shot, these are the things I thought of. I thought of a nation’s pride reflected in its Parliament and the brilliant man who designed it, unable to see his masterpiece completed. These are the stories that buildings would tell if they had the ability. This entry was posted in City and tagged Budapest, Hungary.